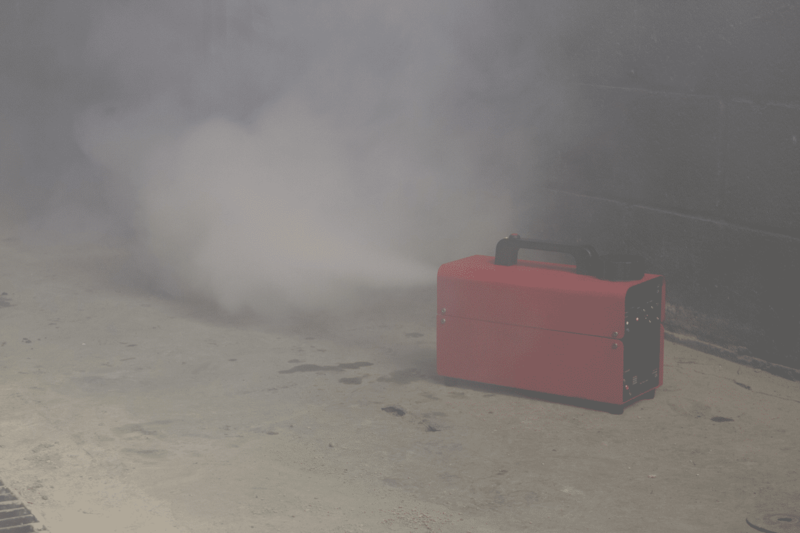 Our fire training smoke machine allows you to create smoke in any location, even those areas that don't have power. Instantly heats smoke liquid to the ideal temperature for quicker smoke production. 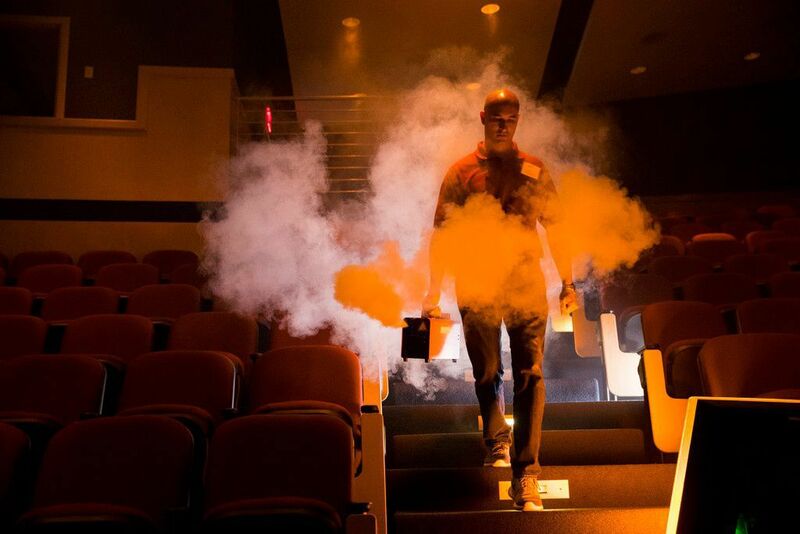 Create smoke in any location, even those areas that don't have power. 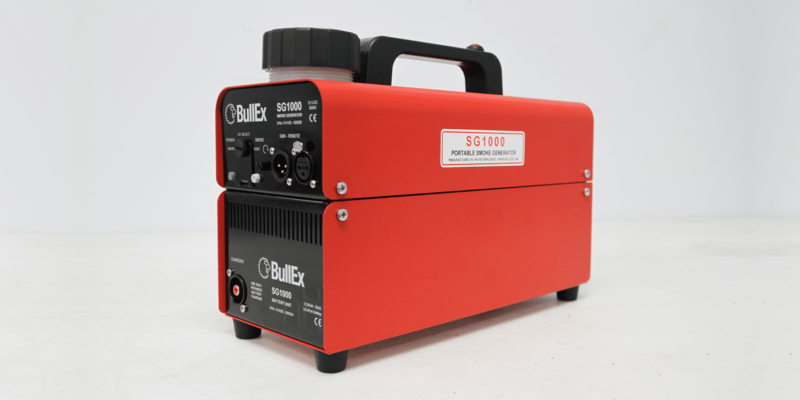 Weighs only 17 pounds, enabling single-hand operation and easy transport. Twenty minutes of continuous smoke on one charge - much longer, if used intermittently. Perfect for training in locations where it's inconvenient - or even impossible - to use power. Instantly heats smoke liquid to the ideal temperature so you can spend more time training and less time waiting. 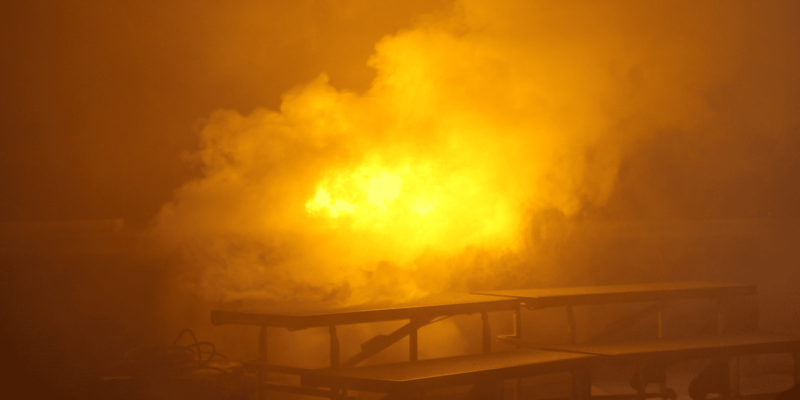 Light enough for users to easily add smoke to upper floors in their training towers, vehicles or outside training grounds. 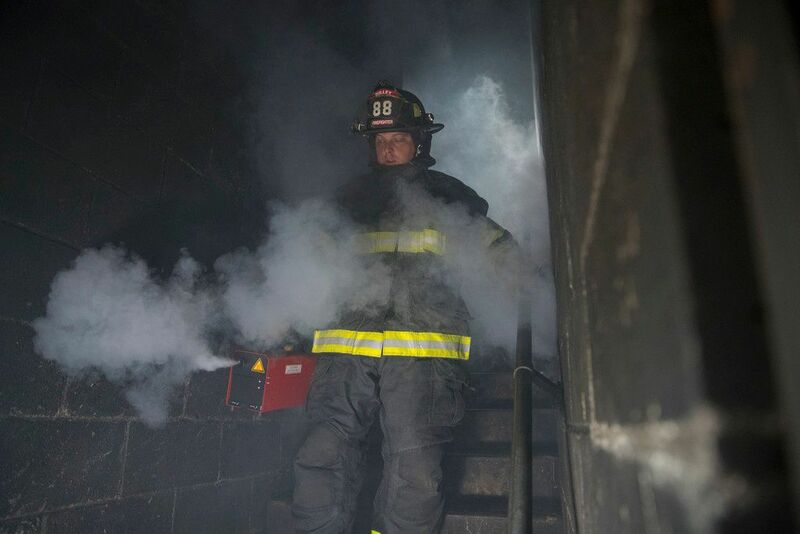 Stop worrying about your smoke generator running out of battery before training is done. With easy interchangeable batteries, you can focus on trainees mastering the skill instead of the equipment. Add an extra battery base to run long training sessions without interruption. 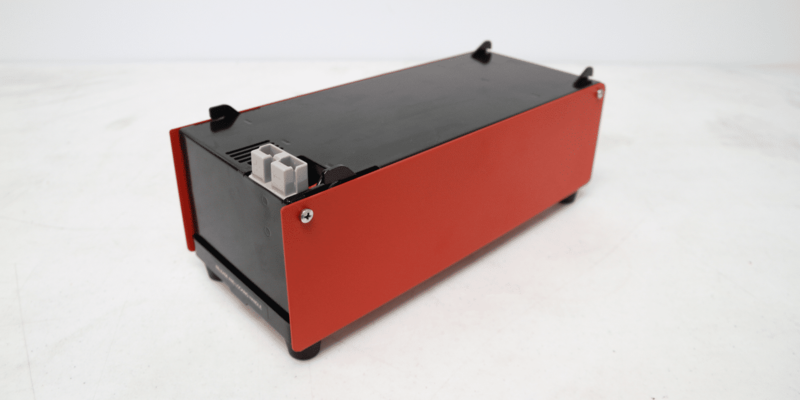 Add the wall power base to enable the Vico to be operated using electrical power. 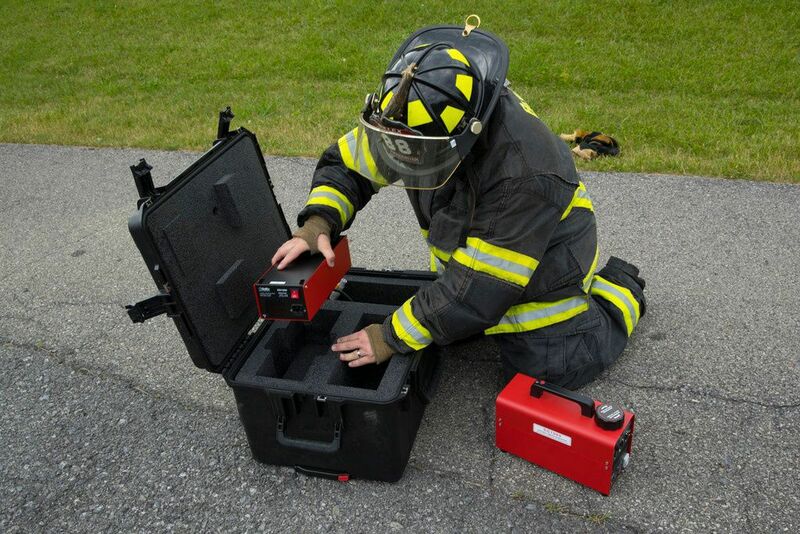 Industrial grade, high-impact plastic case to transport the Vico to any training location. 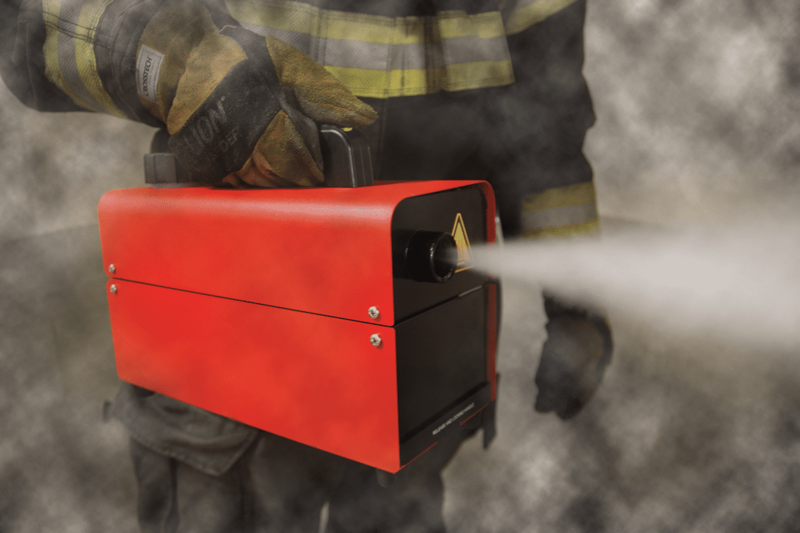 Duct smoke to specific areas of your training location with the flexible smoke duct set.